My new project tote. How cute is this? If ever I have a bad knitting day, this baby will remind me what I am knitting for in the first place. I really needed another tote too. I only had one and I was a bit worried about wearing it out too quickly, because it was also received in a swap. Lucky it and this new one are both super strong. Close-ups to come. Lots of Sugar'n'Cream (not all pictured), because it is not available in Oz and I am yet to find a local substitute (I have really tried though). I dare say I had made it quite obvious that I was after this stuff . 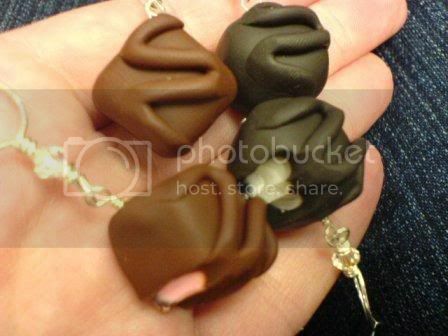 Chocolate stitch markers. Yummo!!! I keep sniffing them and expecting to smell chocolate 'cos they look so darned real These are an extra thoughful inclusion for a heap of reasons. They fit over extra large needles (much bigger than the rest of my collection), I am rather fond of mini poly clay food and I had said not to send me any chocolate because of the hassle with customs. So I got chocolate anyway, how sweet is that? Oh, and did I mention I love chocolate? 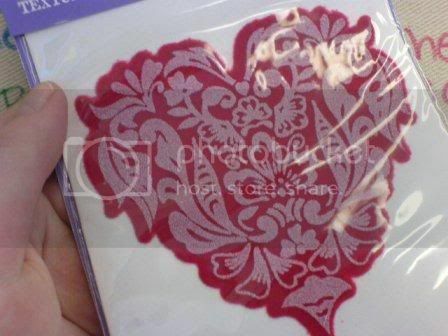 A cute transfer, the likes of which I have never seen, it is fuzzy. Fitted Knits! OMG, I couldn't believe it. I could not possibly be more spoilt. This baby was the book that was on top of my wish list, how did thewench know that? 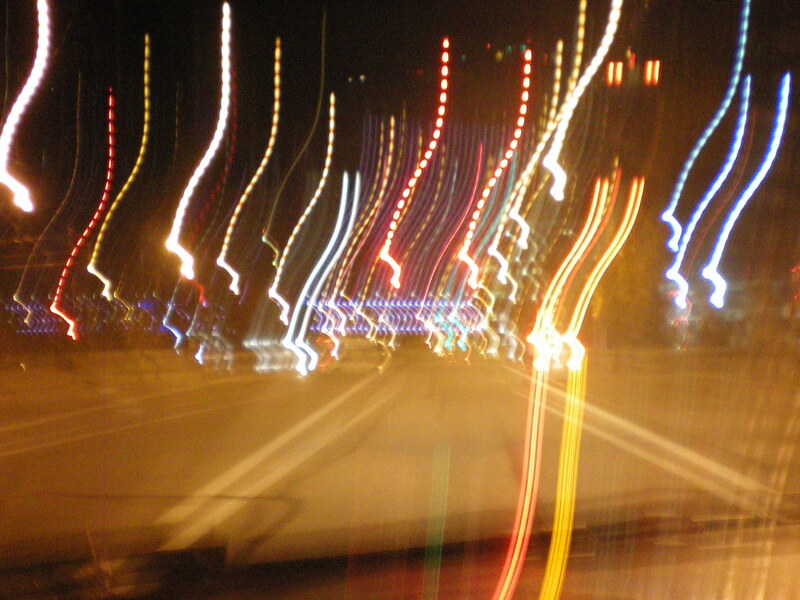 I have no idea how, but I love it. 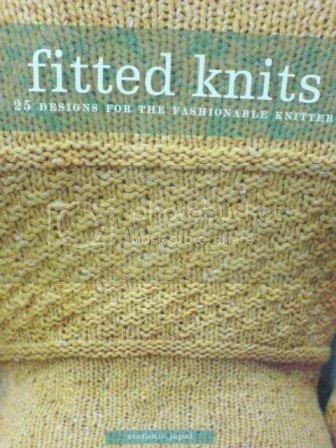 Thank you I have no idea what to knit first, as there are very few designs in here I am not considering. I have misplaced the pic I took of the cute little Orange County magnet I got too. That is probably OK for now, as I have overloaded you all with pictures anyhow. I'll be back to post it up soon-ish, with more of my cute tote as well. The back has quotes on it, and warrants a little more showing off. Thanks again to my thoughtful swap partner for really hitting the mark here. Really nice package. That tote bag is cute. It goes without saying I love sugar n cream yarn. The stitch markers are cute. wow, you guys! these packages are so great! 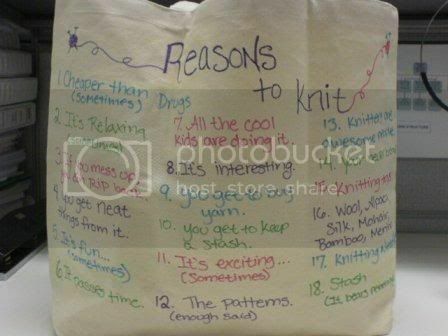 I love the "reasons to knit" bag! I'm super glad you liked it all! *whew* Swap anxiety soothed! Hey, I think it would be neat if we all posted pics here of what we make with our new yarn I know it might be some time, since we all probably have tons of WIPs, but it would be fun to see what everyone comes up with. I like that idea frenchnewwave. I think it would be very satisfying, especially so for the spinners and dyers. 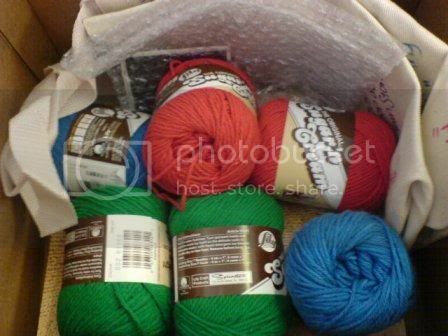 I'm up for this idea, I'm thinking of making a hat from the 2 skeins of multi-colored yarn bu tnot sure what to do with the silk or hand-dyed wool. Wow so many lovely packages, this was a great swap.